A recent estimate indicates that there are around 3 trillion trees on the Earth’s surface, of which around 15 billion are cut down each year . When we think of these vast numbers, we usually picture Amazonian rainforests or landscapes of evergreen trees surrounded by lakes and mountains. We rarely think of urban trees and the important role they play in making cities a healthier, greener place to live. Raising awareness of the importance of urban forests for quality of life is part of the theme of this year’s United Nations International Day of Forests. At IIASA we are actively contributing to this awareness through an EU-funded project called LandSense. The aim of the project is to create a citizen-powered observatory for environmental monitoring of landscapes, particularly those that are changing and affecting citizen wellbeing, livelihoods, and biodiversity. Monitoring trees, and more specifically urban greenspaces, is a fundamental component of the LandSense project. Trees can reduce air pollution in cities by absorbing and filtering out the gases and particles that cause harm. Additionally, trees have a cooling effect on cities, which is increasingly important as temperatures rise due to climate change. In cities, the urban heat island effect results in higher temperatures during heat waves, often leading to health problems and even fatalities. Monitoring the presence of urban trees and fostering citizen access to urban greenspaces should therefore not be underestimated in terms of their contribution to promoting urban health, wellbeing, and sustainable cities. With this urban focus in mind, the LandSense citizen observatory is engaging citizens in Vienna and Amsterdam in monitoring their local greenspaces, and in this way obtaining their perceptions about the quality and extent of these areas. 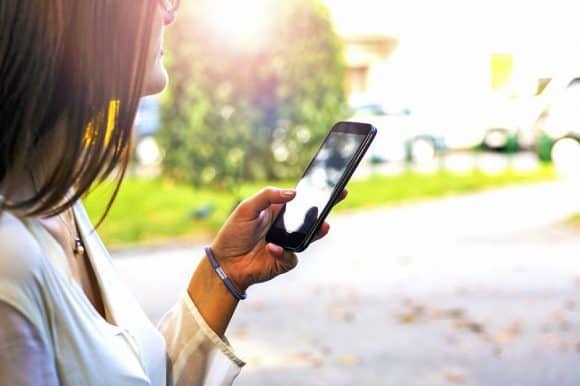 A smart phone app developed at IIASA, guides participating citizens to specific locations in the city and asks them a series of questions, some of which relate to the quality of the trees in their area. This feedback can help city authorities to better understand the views of their citizens. The ultimate goal is to create dynamic and temporal maps of greenspace quality across the city, which can guide timely local decision making. The LandSense app will for example, directly contribute to STEP 2025, the urban development plan for Vienna. This participatory approach not only gives citizens a better understanding of changing greenspaces in the city, but also empowers them to elicit action from city authorities in terms of improving poorly perceived greenspaces. By participating in this process, citizens are actively engaging in dialogue with the city authorities – getting their voices heard and influencing where future improvements will take place. Ultimately, by improving greenspaces and urban forests, citizens are helping to increase the wellbeing and quality of life of urban dwellers in the city. We are currently testing the mobile app with students in Vienna and Amsterdam before launching broader citizen-based greenspace monitoring campaigns in the future. If you want to find out more, please visit the LandSense website for details or follow us on Twitter @LandSense.